Is this website secure to use or buy from? We all are using internet. Internet has changed our life for good. Everything is so connected because of the discovery of internet. Internet has websites. Everyone who uses internet visits several websites. But have you ever wondered how to check is this website secure to use or buy from? How to determine if a website is safe or not? 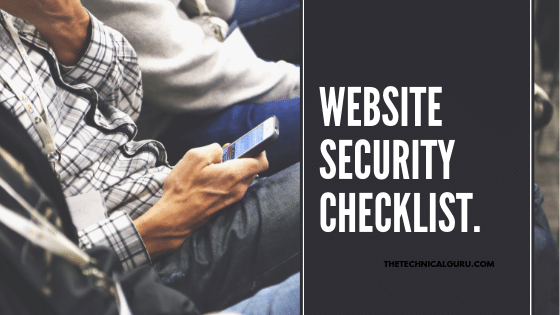 is the question poping in your mind then read this articel to very end and know how you can stay safe by learning how to check if a website is secure to use or to buy items from? The consern with the saftey of a website comes into our mind when we are using any website to buy from. There is high risk of money frauds and scams can be possible. And its very important that we take some safety measures to avoid the trouble. Here are some simple checks you can apply to any website before actualy using it. Disclaimer: We have tried to find some points by which you can tell if a certain website is legit or not. But this should not be taken as standerd for determining the Legit website. We have researched and traied to bring some points that could help you to understand secure websites. This is a most important and easiest way to tell if a website is real and safe.When you visit a website always look for URL. If the URL of the website is starts with HTTP and Not HTTPS then it might be possible that the site is not secure. Pleae check the following image where the url is starting with https. The “s” in this url stand for secure. but this is not always true. Many people can buy domain which matches or resembles with the popular Brand and then makes it secure by buying ssl certificate. just like if amazon.com is original website then fraud url may be look like https://aamazon.com. So always check for HTTPS+Valid URL+Security Check. 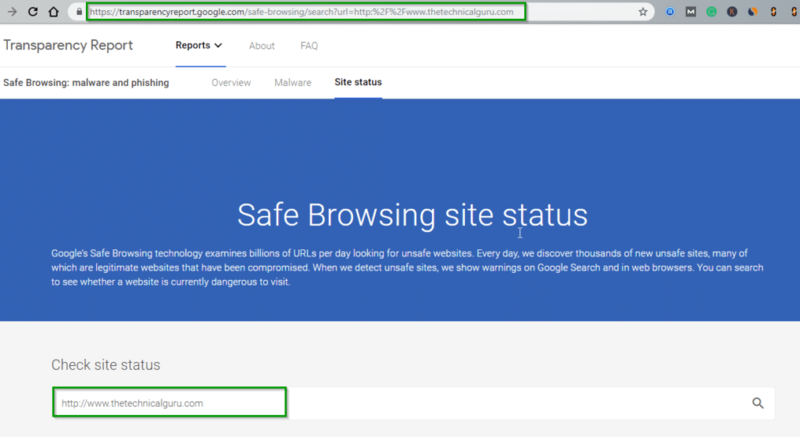 If you are not sure of the website whether it is secure or not you must take a look at Google Transparency Report for any website. Which is validation to a website from google and can be trusted if google is showing it to be safe. This can be a option to check if a website is genuine. You can put any website in the search bar of WHOIS checker website and check website information like date of creation,Name of website owner contacts information. Please Note: While creating a website creaters may choose to pay extra money to hide the Details of the Website ownership. So you might not see infomation of some websites. Read Also: Golden Cydia Guide. If a website has many ads running on it. It’s not a good sign. Generally users don’t like to see the ads. Some creaters put unnessory ads on the website to get clicks. Thre can be ads that leads to opening of new tab with link to malicius code being installed in your device. Last but not the least always buy a antivious which will make your browsing secure. There are some top Anti Virus software developmet companies.you can choose one of them. Intenet has made lives easyer for many people. But this is not always true,there are some evil people who want to harm users. So being careful is always useful for your saftey. At last keep some things in mind which will make your browsing joueny safe. Buy a Strong Anti-Virus Product. Educate yourself to understand the Fraud and Spamy websites. Use secure websites to buy products from. Don’t enter your data on suspicius websites. This is it. Thanks for visiting.